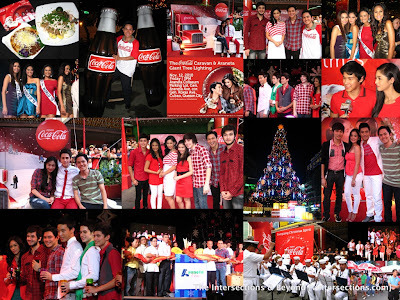 Coca-Cola opened the spirit of the holiday season with its highly anticipated Coca-Cola Christmas Caravan and the annual Araneta Center Giant Tree Lighting last November 12, 2010 at the Araneta Coliseum parking lot. Holiday season can never be this exciting and merrier with a softdrink we all love for decades. 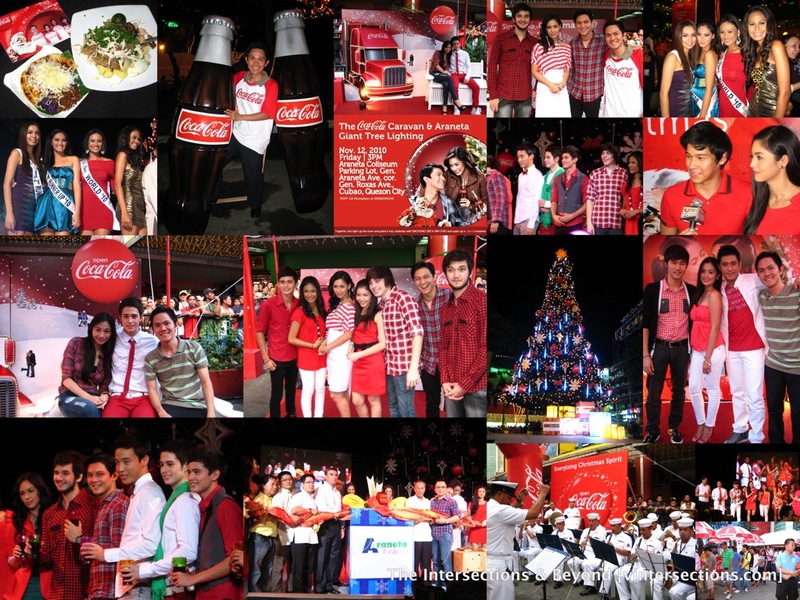 Coca-Cola treated guests to an experience like no other when it painted the town red with all the activities and performances to fulfill its tradition of bringing everybody together for a magical Christmas celebration. It was my first time to witness an event organized by Coca-Cola and I consider myself lucky to be invited in this grandiose celebration. Kicking off the day’s funfair was a grand parade with teen celebrities Empress Schuck, Joseph Marco, Matt Evans and the Pinoy Big Brother (PBB) Teen Clash of 2010 housemates Ivan Dorschner, James Reid, Ryan Bang, Bret Jackson, Tricia Santos, Jenny Sol, Devon Seron and Fretzie Bercede, Starstruck idols Kris Bernal, Steven Silva, Rocco Nacino, Enzo Pineda and Diva Montelaba along with the Philippine Navy Band that marched along and rocked out the Araneta Center with lively renditions of popular Christmas jingles. Guests and fans had their endless picture-taking (including myself) with their celebrity idols, as Coca-Cola ambassadors arrived - Kim Chiu and Enchong Dee. Making the event exciting are the photo booth and game booths that Coca-Cola has prepared for everyone, with some prizes at stake. The venue was filled with smiles and surprises. Santa Claus also joined in the celebration, seated with a beautiful backdrop of Christmas. The energetic duo of Nicole Hyala and Chris Tsuper welcomed guests to an evening filled with celebrity performances and just before the official tree lighting ceremony started. The renowned Love Radio tandem DJ served as the hosts for the whole evening as stars keep on pouring on stage with singing and dancing that made all folks very happy. People were just so excited to witness the much-awaited lighting of the Giant Christmas Tree situated at the heart of Araneta Center, a celebrated tradition since 1981. The exciting countdown was joined in by officials from the local government in Quezon City, Araneta Center and The Coca-Cola Company along with other celebrity guests. Standing at almost 100ft., this year’s tree is bedecked with more than 10,000 lights and hundreds of stars and Coca-Cola Christmas balls, with huge ribbons and colorful gift boxes as accents. Through the years, the tree has been the symbol of hope among the Filipinos that signals that the spirit of Christmas has already begun. Coca-Cola sparkled with the beautiful harmonies of Christmas melodies that culminated with a display of fireworks. 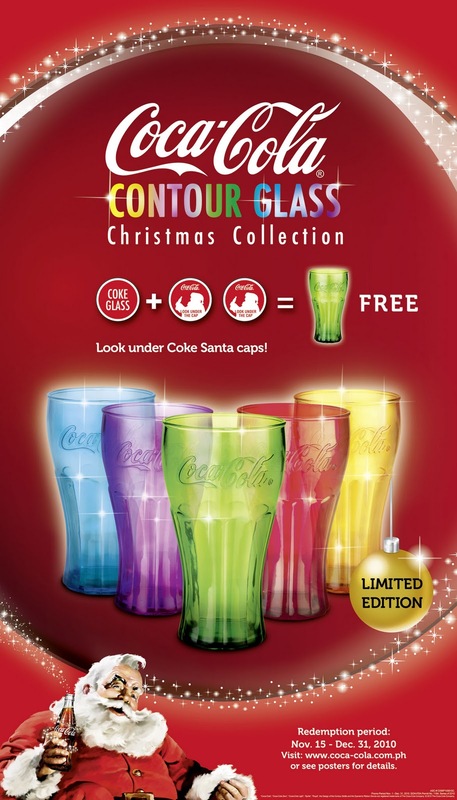 One of the features that Coca-Cola has in store for all of us is the Coca-Cola Contour Glass promo. Everyday is a refreshing moment with our favorite softdrink. The glasses come in 5 colors: red, yellow, green, violet and aquamarine blue. Shake up the happiness. Wake it up, wake up the happiness. It’s Christmas time!